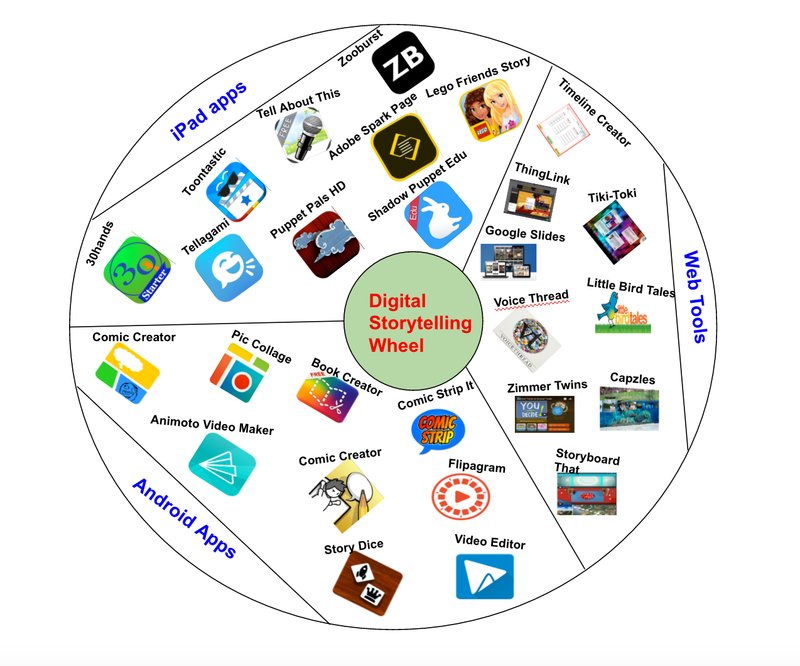 The digital storytelling wheel is a graphic we created a few months ago based on the chart below. The wheel features a number of interesting apps and web tools ideal for digital storytelling activities in class. We tried to come up with titles for the most popular devices out there including: iPad, Android, and Chromebooks. We invite you to check them out and share with your colleagues.